According to a recent news feature from the Wisconsin Watchdog, the United States Social Security Administration (SSA) has fired a whistleblower – and some members of Congress are not happy with this action by the administrative agency. For those who are not familiar with SSA, it is the federal agency that is responsible for administering the Social Security Disability Insurance (SSDI) program and the Supplemental Security Income (SSI) program. SSDI is a disability program designed told help disabled individuals who have worked long enough to accrue the requisite number of quarterly credits to qualify for benefits. Every time a worker pays his or her taxes, a portion of that tax money goes to the fund the SSDI program and the SSI program as well as the Old Age and Retirement benefits fund, which is also run by the SSA. As our Boston disability attorneys can explain, SSI benefits are available to qualified disabled children in low-income households, blind adults, and disabled elderly Americans who have not worked long enough to qualify for retirement benefits from Social Security. In the case of this particular employee, she had worked for the federal government for more than 24 years and had worked for SSA for 16 years in the same local office before her termination. She became a whistleblower when she reported that SSA was not handling disability claims appropriately. She had collected records showing various problems with the disability claims process, including documents to show that the mishandling of claims caused a substantial backlog to a point the average wait time had become 650 days. While this was the average, there were appeals that were actually taking over 1,000 days to get a hearing before an administrative law judge (ALJ) which is considered absurd by many. She also alleged that cases were shuffled around to delay the payment of benefits and to delay the process in general and confuse the statistics. She called this a form of a “shell game” with the claims. While it is normal to think of these claims in terms of numbers, each one of the claim represents a real person who cannot work because of their disability and may be in desperate need of disability benefits. The way in which she claims they are moving cases is by sending them to other regional offices. When they do this, the numbers at one office are lowered and the case is considered closed by that office. The case is given a new opening date at the office, so the wait does not seem as long in the numbers at the new location. However, the clock is ticking by for the claimant while the agency is allegedly trying to make numbers look better than they actually are. It should be noted that SSA is defending these allegations. They are also saying that the employee was terminated for misconduct, and it had nothing to do with her being a whistleblower. 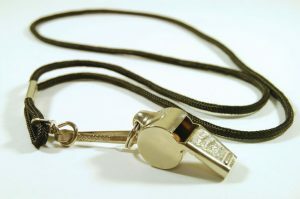 However, based upon the timing, the employee and others in Congress feel that it is obvious this was done in retaliation for her being a whistleblower, which is a violation of federal law if true.